The Citizen Eco-Drive watch is built with Fine Art’s and Technology and it is the perfect blend of new emerging technology. This watch comes with an flourishing design that go with both formal and casual occasion .The Stainless Steel Case gives a strong base hold to the watch and the Leather Strapreally add charm to the watch. The Dark Grey Dial really an added effect that Gel up with the design of case and watch. Theo Citizen Watches Eco is Japan Made surely the home of embedding technology. 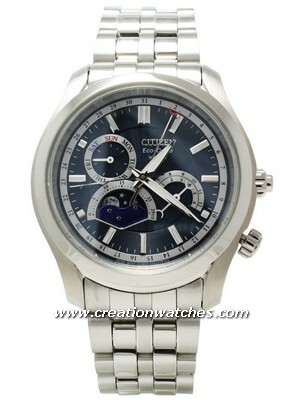 The Citizen Mens Watch is Really having lots of assets that’s really impeccable in performance a value for money it comes with Eco-Drive technology that make the watch really ahead with the others the watch does not required any battery Citizen Ecodrive it can recharged by any light source, no need to change battery at all surely a relaxing point from the agene to change the battery. Still got more function in this Watch comes Overcharge Prevention Function that really an ace for avoiding the overcharging the so it’s a major act of Durability of watch yet not comes to an end of this gratitude grasping watch has Insufficient Charge Warning Function that gives you an indication of low power of the watch how impressive is the really it’s class show Act of this Watch .This Watch comes with the Caliber of J810 functioning really a callipered watch. As the is having Elegant features in it the dial of this Citizen Eco watch is built in with Crystal Glass for better viewing of all the functions of the watch. With the Better Display of Digits and indicators it also shows the Date. and forget about worrying playing hard with water this watch comes with water resistivity of 50m.The watch is quite elegantly design it’s having Case Diameter: 45mm (Including Crown). These watch is really worthy of adding in your collection. 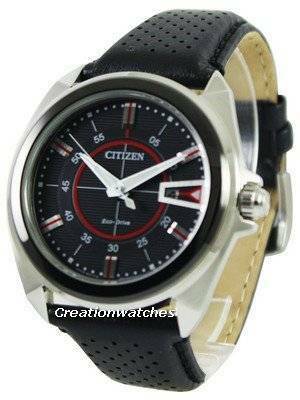 Click here for more details and to purchase it : Citizen Eco Drive Watch. Next post Newsletter: Holiday deals on Watches for Men and Women!